For the second year in a row, Proshow is proud to have supported The Odlum Brown FWE Gala: Pitch for the Purse held at The Fairmont Hotel Vancouver. The Forum for Women Entrepreneurs (FWE), a Vancouver-based charity, mentors, supports and helps women starting new businesses. Last night’s gala was the grand finale of the Pitch program where the three amazing and inspiring finalists had to pitch in front of a full ballroom to win a $25K prize. Congratulation to the winner: Nicole Smith of @Flytographer who will benefit from the prize to follow her dreams. 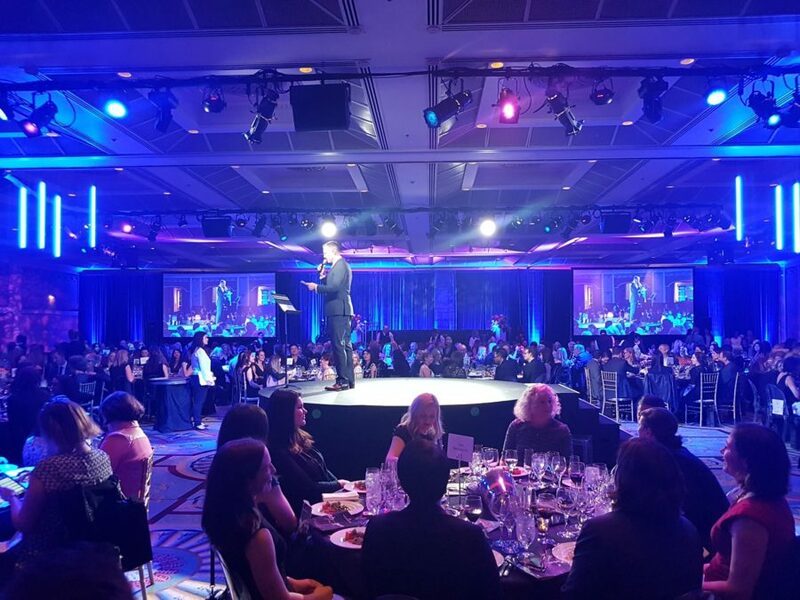 Proshow’s amazing and talented operating crew made the Fairmont Hotel Vancouver’s BC Ballroom sound great and the content looked crystal clear on (4) Barco powered HD projection screens.